I have really dropped the ball updating Expat-terns lately. I blame midterms, which apparently can fall anytime between the beginning of October and early December. I just had my last one this Wednesday (11/25). I know – what? BC Hillel is a Jewish network in the Vancouver area, linking the communities of UBC, SFU, UVic, Langara College, and the Emily Carr University of Arts and Design (wherever that is) together. It offers religious services, social events like “Jews and Brews” (I will attend this one day for sure), programs surrounding Judaism and volunteerism, and hot Kosher lunches! They also often have cookies and dogs for students to consume and with which to relieve stress, respectively. What could be better? One program, UBC specific, that I am a part of is Project Tikkun. Project Tikkun derives its names from the Hebrew תקון עולם (tikkun olam), or “repairing/ healing the world”. It is a Jewish concept that I believe has some kaballistic elements in it as well. Overall, it is positive force for good. The group gathers roughly once a month and discusses topics regarding racial bias, hate, and soon, post-genocidal reconstruction. A diverse collection of individuals, Jewish and gentile, the program hopes to create a dialogue about these themes and a more open community on campus, starting small and expanding the conversation over time. It is its inaugural year at UBC. In May, the group will travel to Rwanda and Israel and speak with those who have experienced such hate and destruction, learn about methods of recovery and the subsequent successes, and the issues that continue today. I know little about the Rwandan genocide, and the creation of Israel and the current Israeli-Palestinian conflict are difficult discussions to have (and often to continue intelligently). I figure, I am in university, this is the time to learn and have such conversations. But, more on that later. 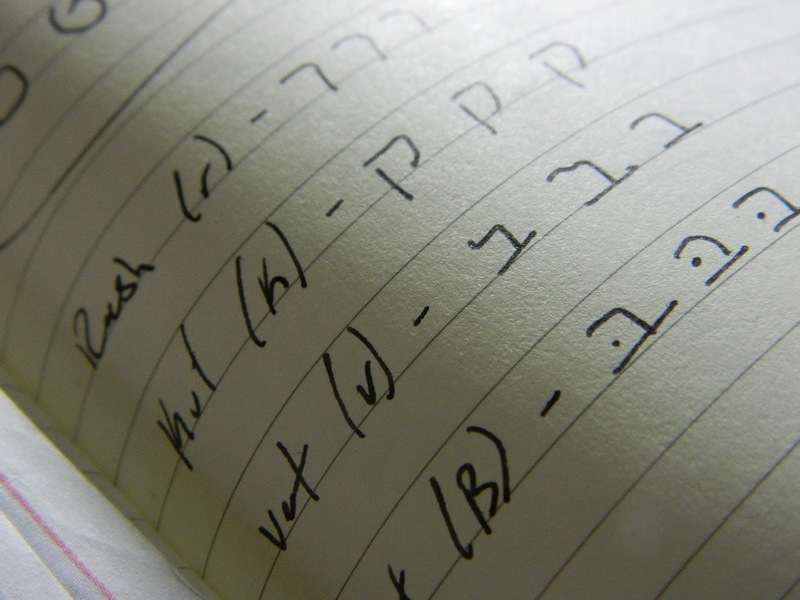 In preparation (and also to connect more with my Jewish heritage), I am beginning Hebrew lessons. So far it has not disrupted my German-learning (though I do fear I will forget Spanish in time). I like to think maybe if I continue both Hebrew and German, somehow I will miraculously pick up Yiddish! A mentsh can dream. Apparently however, my spoken Hebrew is gargled. Hmm. Did not see that coming – but I will adjust. The lessons are once a week at the UBC Hillel house for a small fee ($2 CAD). They are taught by a fluent speaker who is not technically a professional instructor; however, her mother is a certified teacher. Nevertheless in my opinion, she is doing quite well on her own (with occasionally some help from a conversant Hebrew-speaking Hillel staffer). I guess it is a family thing. Theoretically, if I were to have children, they would at least learn the prayers and basic phrases from me. I still need to decompress from such an event. Bringing together the voices and bodies of POC at UBC to celebrate and rally for our visibility, the UBC AMS Nest held a student organized solidarity event in support of North American movements like #blacklivesmatter, #ConcernedStudent1950, and #Feesmustfall for the student protests in South Africa. The speakers spoke of the hegemony in which we live in North America, how we, as individuals, can fight back against the system that is, which divides and standardizes us, through personal resistance and larger unions, and the truth that we have so much farther to go when it comes to these issues of race and the intersectionality that exists. On that note, it is almost impossible to describe the feeling of seeing other queer people of color coming together. Growing up in the US “heartland”, I would have ever imagined I could attend an event that called for an embracement of these qualities that once made me feel so alone, surrounded by others with similar experiences. Of course, the next step is to take this empowerment and be heard. There was poetry, song, and dance from a mixture of people: Black, Asian, and Métis. It was advertised to all, and the space was open to anyone passing by. it is ultimately our decision to act on it. 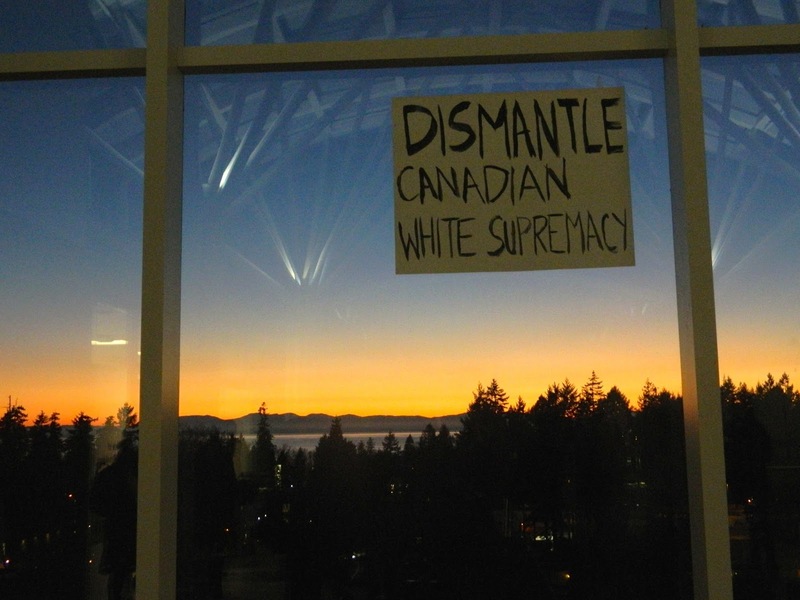 There was then a small march as the sun was setting on campus that led the group up to the UBC president’s office. My mother would be proud. We were denied access to speak with someone inside but stayed in the space and reflected on the experience of being met and the door, the aforementioned performances, and what to do next. Despite being in Canada, I cannot avoid the reality that in my country, there is great suffering, disproportionally for those that are discriminated against and marginalized by the hegemony. It is not often that I feel overtly patriotic for the United States. However, for this cause, I do. It is time for the huddled masses to be heard. We are tired but just getting started. This was the first time I have ever been involved in a movement such as this. And, I do not think it will be the last. I will keep you updated if other actions arise. Fret not. So, this Thursday was Thanksgiving in the US. That matter really did not register until I was sent messages via social media. It is amazing how fast this term is flying by. I will be back in the US for most of the holiday, traveling between the Midwest and NYC. Then, I will return to the Great White North in early January for Round 2. But before that, get ready for December in Canada! I have some free time in between my final exams, so expect some more Vancouver exploration! Cheers.